Drift stability. Lightning fast steering. Instant power and de-power. Durability. 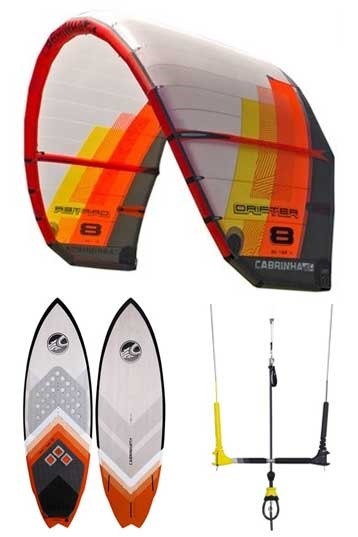 Easy relaunch.These are the necessary elements to make the worlds best surf kite. These are the elements that make up the Drifter. Amongst the many features the Drifter is known for, none is more important than drift stability also known as slack line drift. While surfing, it’s sometimes important to depower the kite to the point where you can surf on your own wave generated power without the pull of the kite. 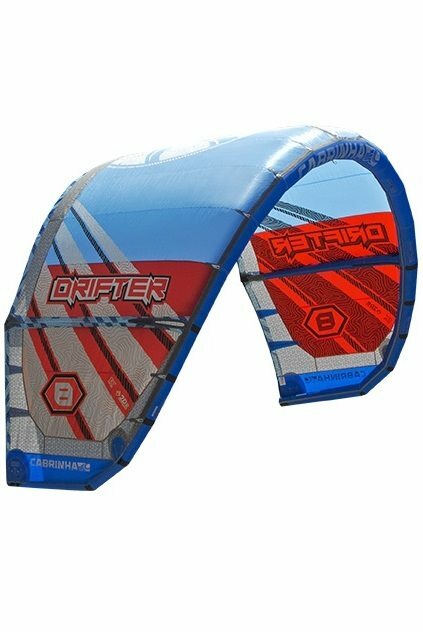 Its here that the Drifter is able to stay aloft and drift downwind with you. When the time calls for it, you can immediately power up the kite and clear the next section. The Drifter has a light weight, yet durable build using our Skeletal frame technology and our all new 2DR double rip stop material. 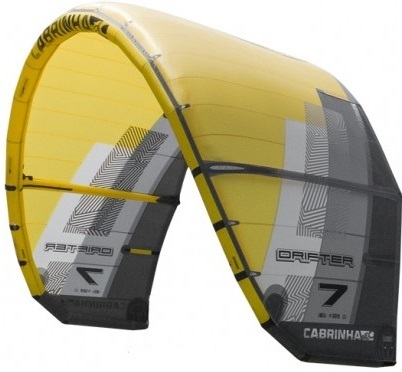 We tested the Drifter 7m in a big windrange (20 - 32 knots). 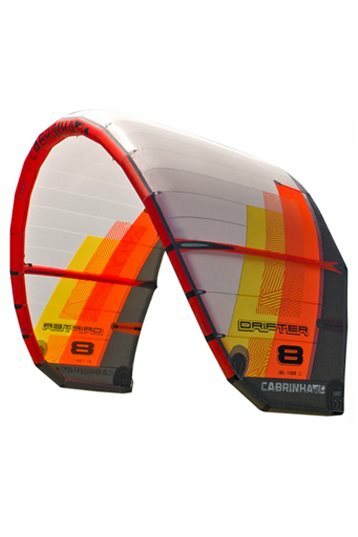 This kite is well tuned and special made for wave riders. 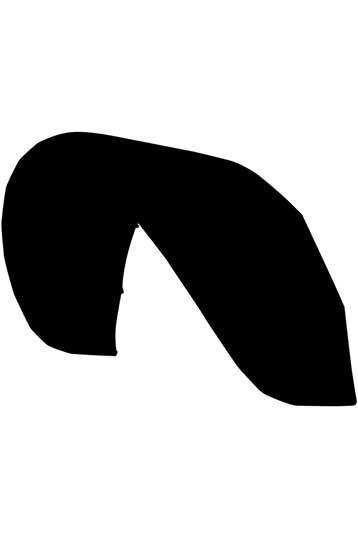 Great drift, soft power and always in control. (powered or depowered). This kite is also great as a storm kite. We loved it! I tested the drifter at Schiermonnikoog in small waves on a waveboard(26-32 knt). I know why Cabrinha called it the drifter! It depends on witch wave riding style you ride bud when you like a kite that keeps his power at all times this is the one. there is not much bar pressure but in the last 5-10 cm of the depowercord that's where the power hits in. there is total depower only you have to steer it on the end of the bar because in the middle it doesn't react. great to keep the kite on one place and ride the wave. I had a nice time whit it in the waves! this time on a twintip jumping high and pulling kiteloops. I liked the kite in a lot of wind because it keeps his power during the gabs in between the hard gusts so really stable. for kiteloops it was quite slow for a 7m2. the hangtime was average. 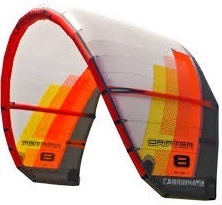 It is a really soft kite so a lot of high end. 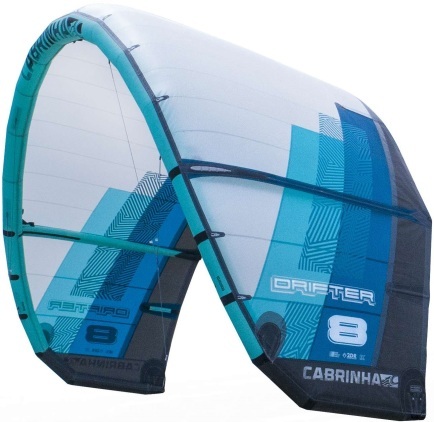 Rode the Cabrinha drifter 7 m in hard and gusty winds. We were making a wave kitetest. The Drifter was sweet, great control because of it's soft power building, lot's of feedback and depower. You can park the drifter and Ride the wave downwind. The drifter turns around it's tips. That makes the turning circle a little longer than the center turn wave kites. But its still fast and i don't mind having some thinking space before my small Kite shoot away in 30 knots. 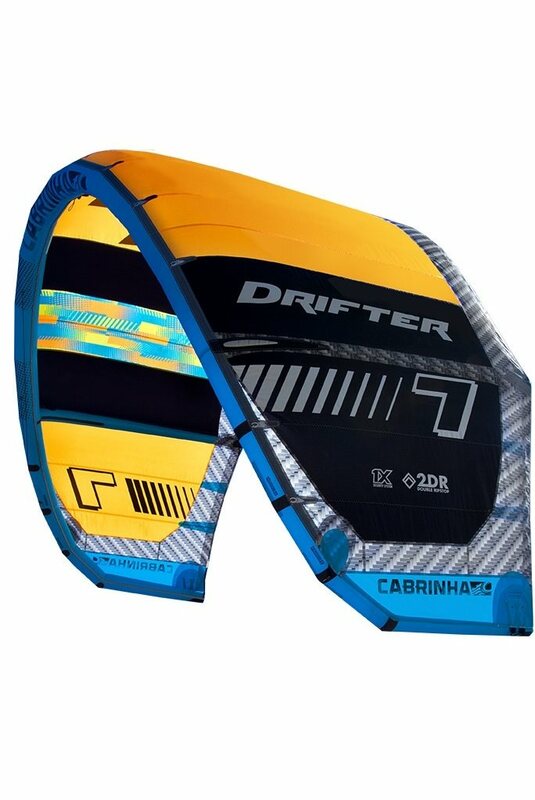 This 2014 Drifter is a trustfull storm Kite in gusty conditions.